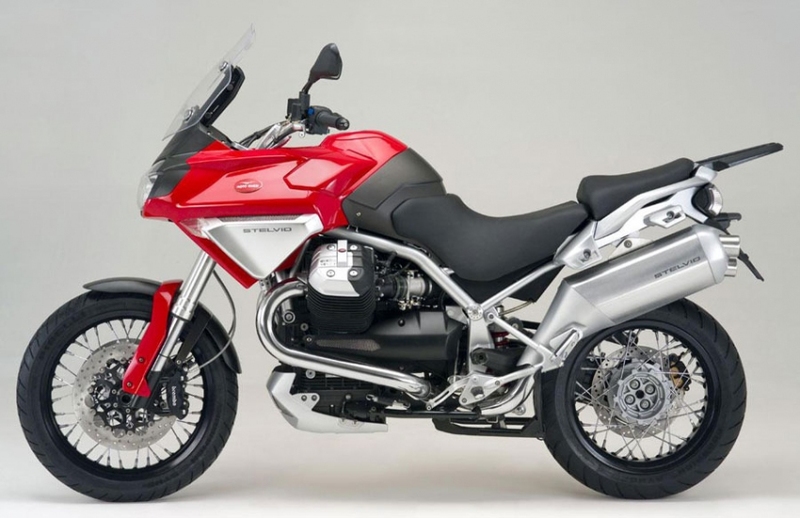 Moto Guzzi has released images of its new Stelvio as well as announced the new V7 Classic. The Stelvio – announced earlier this year – is a twin-cylinder enduro model with adjustable windscreen and seat, radial-mounted calipers, and 50 mm USD forks. The 1200 cc “Quattrovalvole” motor produces about 100 hp and should make loads of torque at low engine speeds. “The Stelvio is very much at its ease on deceptive surfaces with little adhesion (due) to the superb frame design, its decreased weight and smooth power delivery,” said the company. 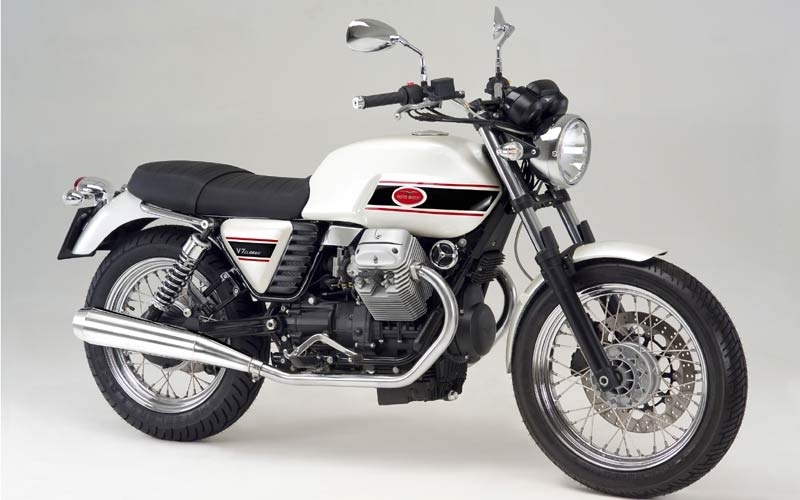 But that’s not all as another new Guzzi brings back the look of the early ’80s. The 750 cc V7 Classic will arrive with spoked wheels, dual rear shocks, and a tank and seat profile reminiscent of the first 750 fours from Japan. From the air-cooled motor to the round headlamp and triangular side covers, the Classic appears to be styled with a keen eye on the remember-when aspect. No word on whether the new Guzzis will be available in Canada yet. A R1200GS?? I dun know, sounds kinda….. German???? 😡 Looks good though. I like it. And the 7, cool retro, I can almost hear Red Hill Mining Town (U2) playing in the helmet.